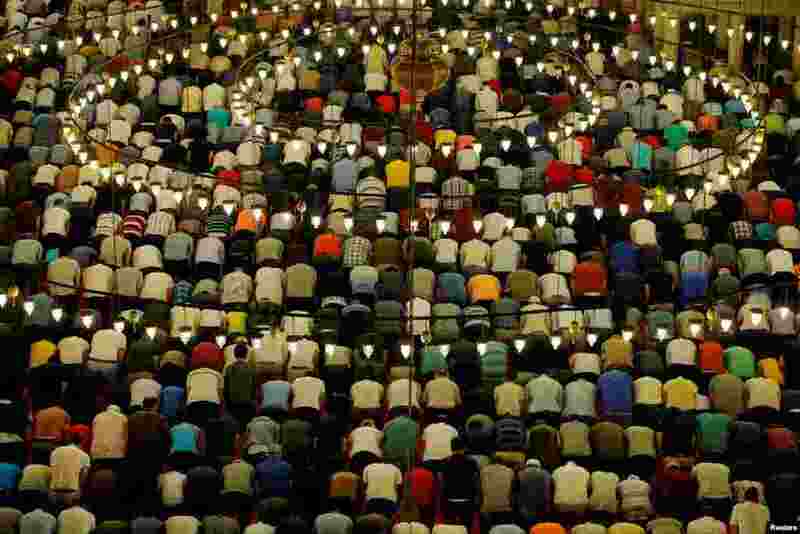 5 Muslims take part in evening prayers called "Tarawih" on Laylat al-Qadr or Night of Decree, at Suleymaniye mosque during the holy month of Ramadan in Istanbul, Turkey, June 10, 2018. 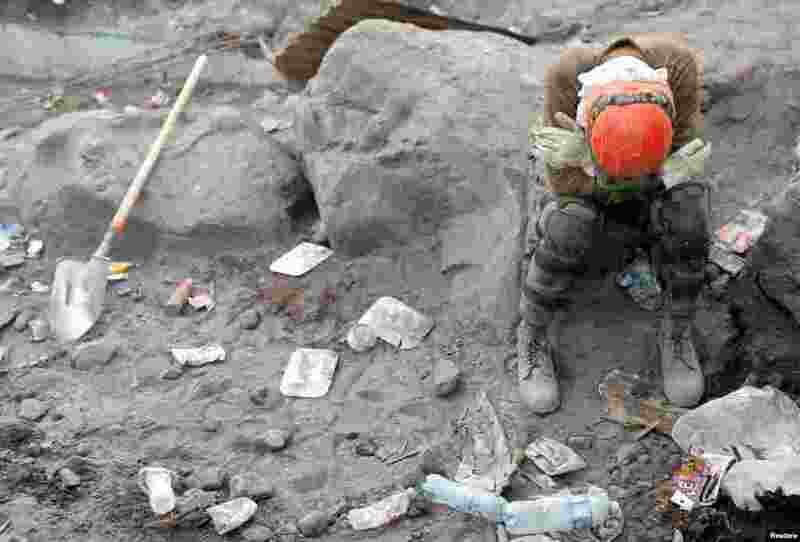 6 A rescue worker rests an area affected by the eruption of the Fuego volcano at San Miguel Los Lotes in Escuintla, Guatemala, June 10, 2018. 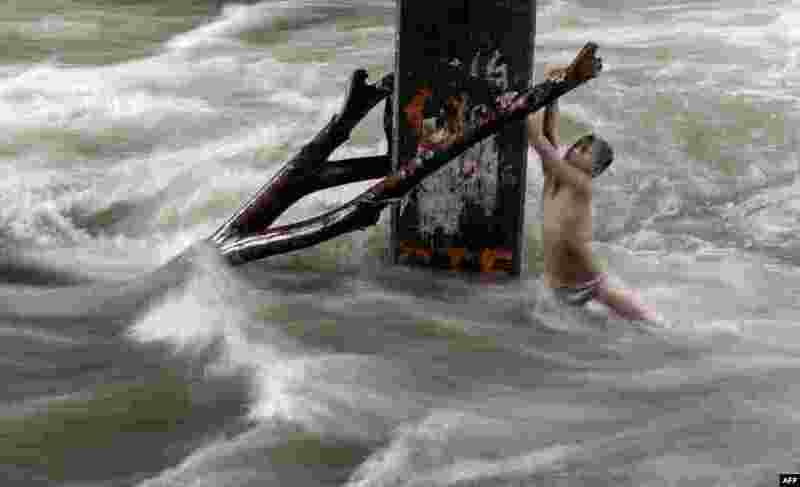 7 A boy holds a partially submerged tree branch as he plays in a swollen river caused by heavy rains under a bridge in Manila, Philippines. 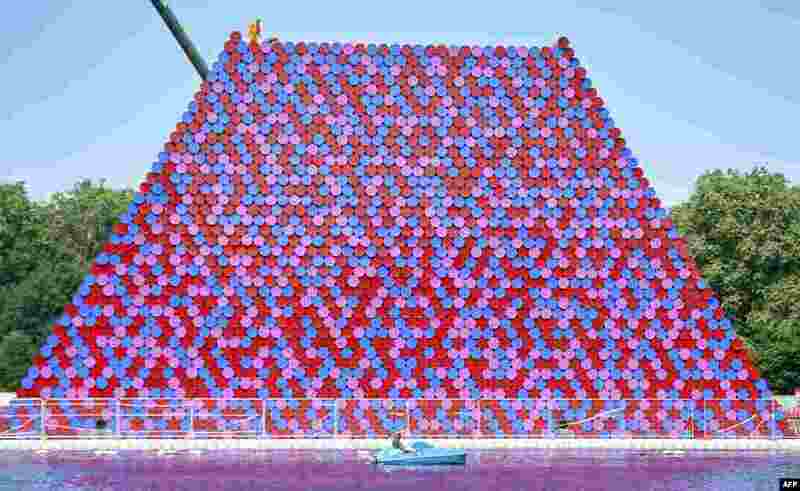 8 Workers build 'The Mastaba', an outdoor work made up of over 7000 stacked barrels by Bulgarian artist Christo Vladimirov Javachef on the Serpentine lake in Hyde Park in London.